As President of ALINK Insurance Services, an Independent Insurance Brokerage Agency servicing clients in multiple states, Bill is responsible for overseeing all sales, client satisfaction, retention, agency growth, systems and operations, as well as servicing functions with his staff of highly trained insurance professionals. Bill’s CIC “Certified Insurance Counselor” designation from The National Alliance for Insurance Education & Research is an example of his passion to deliver exceptional consultative service to his clients and partners, a differentiator from many in his industry. He carries property, casualty, health, and life licenses along with a long term care certification status. 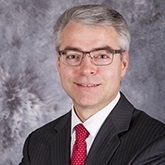 His 30 years of leadership experience at First Data, American Express, and as President of ALINK Insurance Services has provided Bill with significant experience where he has mastered delivering client satisfaction and operational efficiencies through six sigma protocol and client servicing and retention methodologies. Prior to serving as President of ALINK Insurance Services, Bill served as VP of Client Services and Operations, Director of Quality Control and Call Center Operations, and Manager of New Business Development and Implementations. His responsibilities include; client satisfaction, project management, contract negotiations, call center servicing and forecasting, training curriculum and staff oversight, sales operations, employee engagement, strategic planning, and much more. Bill has lived in Colorado over 16 years, recently celebrated his 30-year wedding anniversary, and has 5 wonderful children and 4 grandchildren. Bill is committed to superior service and lasting relationships, loves the outdoors, spending time with his family, has an energetic approach to life, and enjoys being “A Link to Security!” for families and businesses.